You can make a difference by volunteering your time and talents! Help us promote our monthly webinars through social media--help spread the word! Order and proudly wear your National Board CMI Badge. 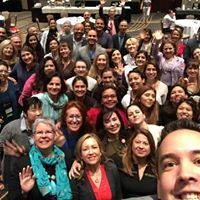 Attend conferences, workshops and other events related to medical interpreting--you can help us man a table, or even present a workshop in behalf of the National Board (official authorization from the board is required). Use the My Community feature on our site to network with other interpreters who speak your same language pair, or who live in your city or state, and help us promote engagement. Participate in our marketing, fund raising or outreach committees. Share your testimonial and help inspire other interpreters to get certified! (4) normalizing those expectations across the industry. Since 2009 the National Board's CMI credential program has worked tirelessly to set the platform by provide steps 1-3. Now is time to get to step 4! For this we need the help of every stakeholder in the industry, and the most important contributor is YOU!